Why do I need home health care assistance? Providers of home health care also extend services on skilled nursing in Denver, Colorado. These licensed and skilled professionals can assist you or your loved ones when you have medical conditions or treatments that you prefer to be performed at home. 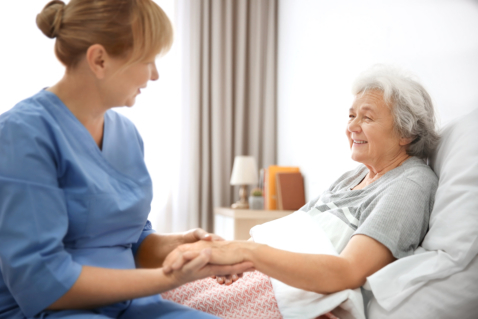 Because of home health care providers, which used to be medical care that can be done in hospitals or other medical facilities can now be carried out in the comfort of home. Can I choose a particular provider of home health care? Definitely! Patients and their families have the last say on who they want to care for them. Every care provider offers a different form of service that may not fit exactly the need of your loved one. However, in our long term care in Denver, Colorado, we see to it that the personal needs of our clients are met. We will provide care that is tailor-fit to the client’s condition. Care providers are mostly necessary when a patient is an elderly person at the latter stage of their lives, someone with a disability, individuals with chronic conditions and will need total medical care, or a senior person who is already living on their own alone. When you have a loved that has any of these risks and you can’t be there for them all the time, it’s best to request help from home health care assistants. Selecting your own care provider should really be your major consideration. Aside from the professional’s skills and knowledge, you also have to consider their personality if they match yours. But you can trust that at Home Health Preferred, LLC , you can find a care provider who can best match you or your loved one’s personality. What type of professionals will provide home health care? Most care needs are provided for by licensed or registered nurses. These are professionals who don’t just have academic knowledge but also skills and experience in providing medical care. For patients who will require more technical assistance, such as physical or occupational therapy, there are also healthcare professionals ready to provide that. What if I also need assistance in taking a bath or eating? Skilled care providers are also well-trained to provide care that is not medically related. They are trained for this because these tasks can contribute greatly to the patient’s overall well-being. Whether you need personal care, assistance in housekeeping, or performing the routines of a physical therapist, the skilled nurses will be there. How long is home health care given? Different patients have unique home health care needs. Some will need hourly assistance, while others will require 24 hour care. Whichever your loved one needs, make sure to relay this with the care provider so they can make special arrangements for their situation. This entry was posted in Home Health Care and tagged Health Care Assistance, Health Care Provider, Medical Care. Bookmark the permalink. ← Long-Term Care: Is This for Your Loved One?